Enjoy a quick and simple way to brew a rich and flavorful cup at home or on the road. Hot water, freshly ground coffee, and 4 minutes are all you need! 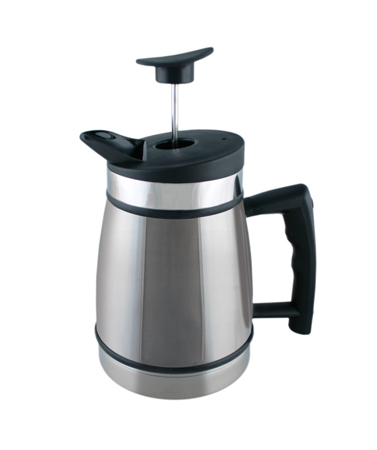 This ultra durable press pot can take your use day after day, and the carafe won't break if dropped like its glass counterpart can. Double wall vacuum-insulated pot will keep your coffee hot as it brews. This 20 oz size is perfect for 2x8oz or 1x16 oz coffee.